with something I found may be useful. Step 1: Install Ruby 1.8.6. 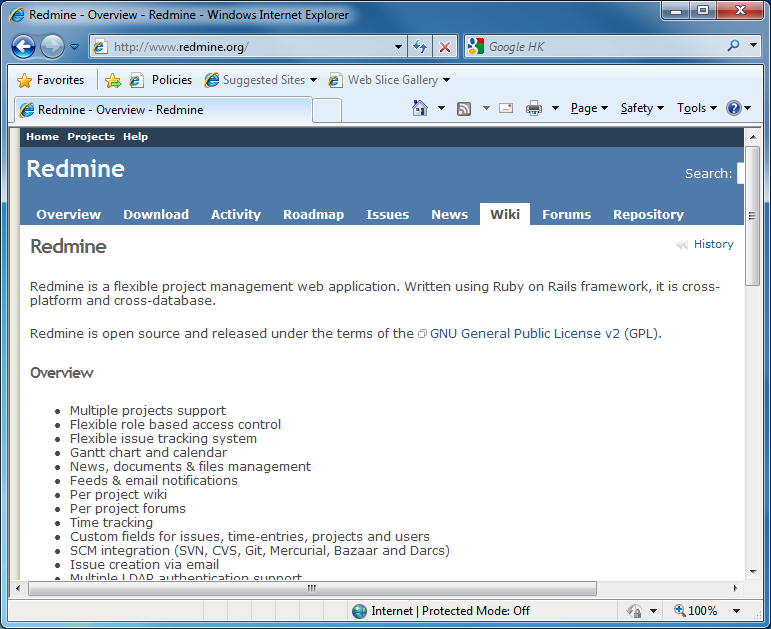 According to Redmine Installation Guide ( http://www.redmine.org/wiki/redmine/RedmineInstall ), Support Ruby version is 1.8.6. & 1.8.7. 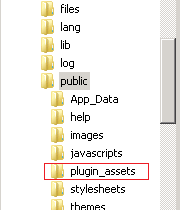 Because the fcgi extension not bundle in rails. 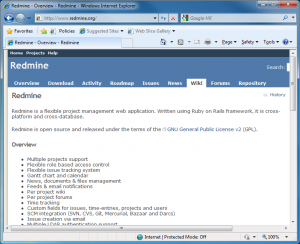 Just create database, user account and password (Step 3 on Redmine Installation Guide). 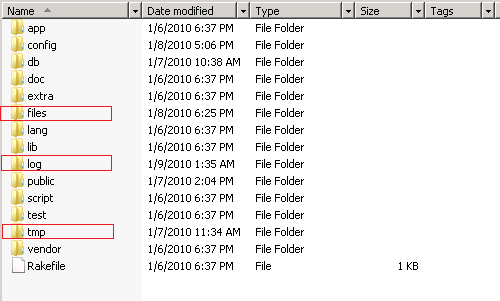 make sure the default database character is “utf-8” because the create database script did not assign. 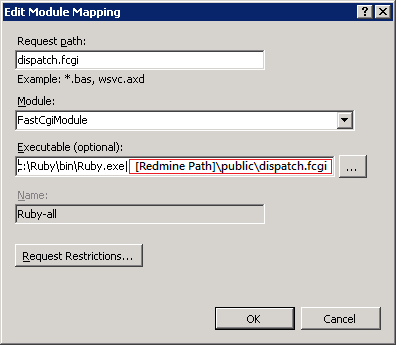 Step 9: test site by using build-in webrick (step 8 on Redmine Installation Guide). 第一次接觸 Ruby、Ruby on Rail, 同時又要在Server 2008 的IIS7 上用FastCGI運行, 再加上外面的FAQ唔多齊全. 結果玩足一日才能夠安裝完成.